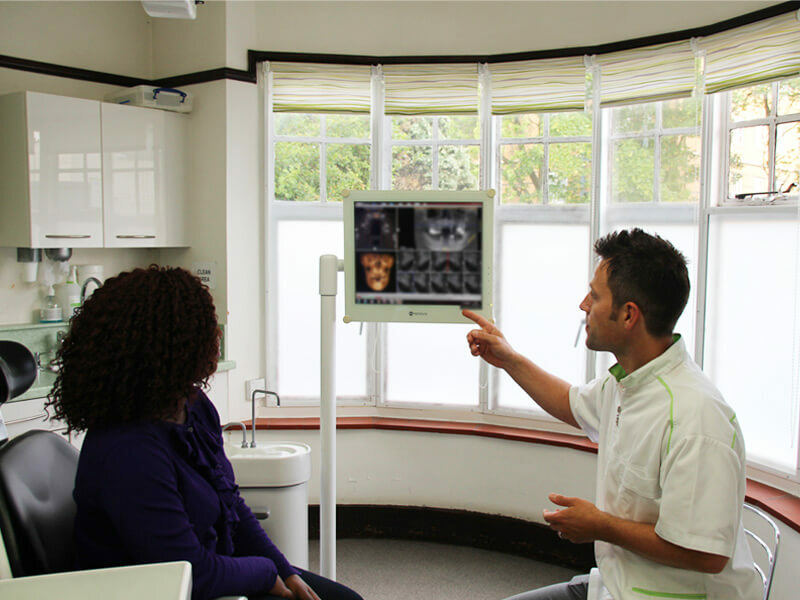 At your initial consultation appointment Dr Black will discuss your concerns and assess the health of your teeth and mouth. 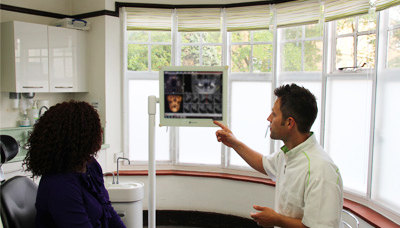 It is likely that an X ray will be needed to check suitability for an implant. Occasionally a CT scan will also be required. You will be asked to fill out a medical form which Dr Black will run through with you. 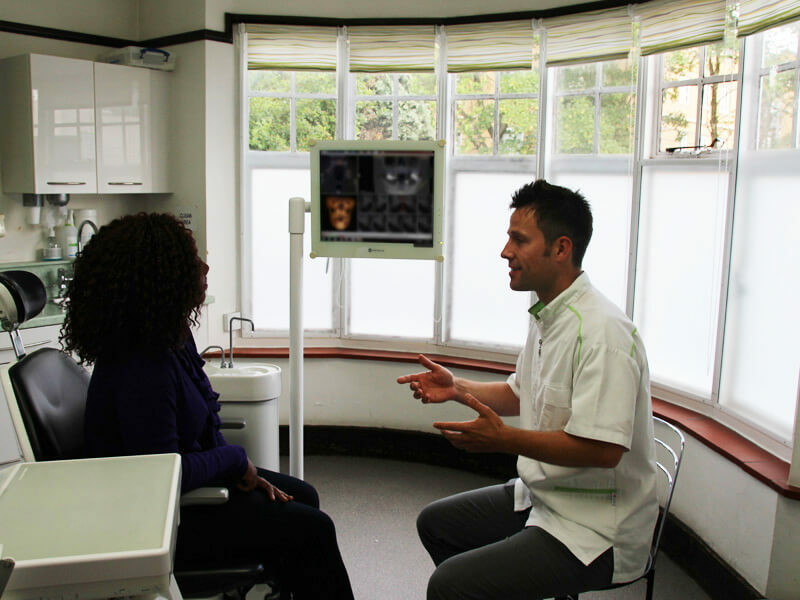 He will then be able to discuss all the different treatment options that are available for you along with an explanation of these treatments, costs and time scales so that you can make an informed decision of the best option for you. 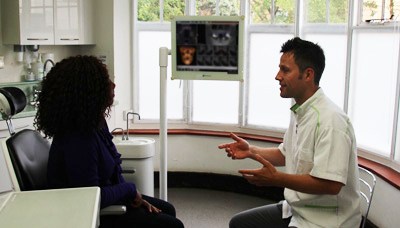 At the start of your appointment Dr Black will explain the different stages that will take place. 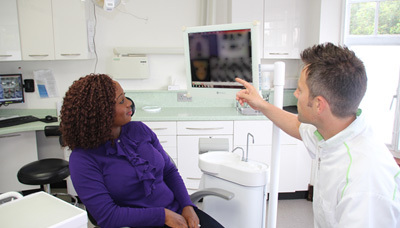 The local anaesthetic will gently be administered to ensure that you do not feel anything during the implant placement. You will then be asked to thoroughly brush your teeth and rinse your mouth with an antibacterial mouthwash. The surgery will be set up with sterile drapes and Dr Black and his assistant will be wearing sterile hat, gown and gloves. A sterile hair net and gown will be placed on you along with a disinfectant skin wipe. A strict sterile protocol is followed to ensure a high implant success rate. A small incision is placed in the gum so that the implant can be placed followed by some resorbable sutures. You will be asked to rinse with an antibacterial mouthwash for 1 week after the procedure. After dental implant placement you will be asked to rinse with an antibacterial mouth rinse for 1 week after the procedure. You may wish to take analgesics, however most patients find that this is not necessary. 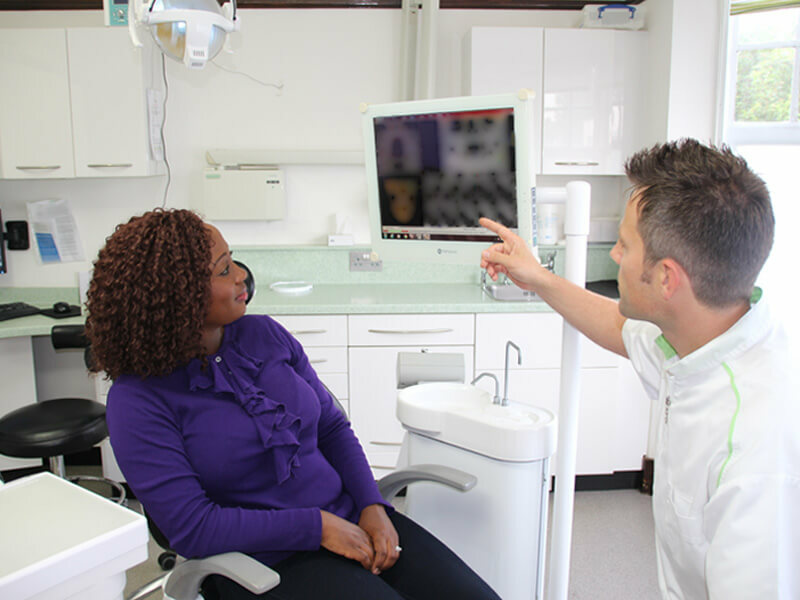 A review appointment will be arranged for 2 weeks after the implant placement to ensure satisfactory healing and to remove any residual sutures. Dr Black is always available for any advice during this time.